Why SQL injections are dangerous to overall system security? Here is something quick from the latest experience I had in the past month. 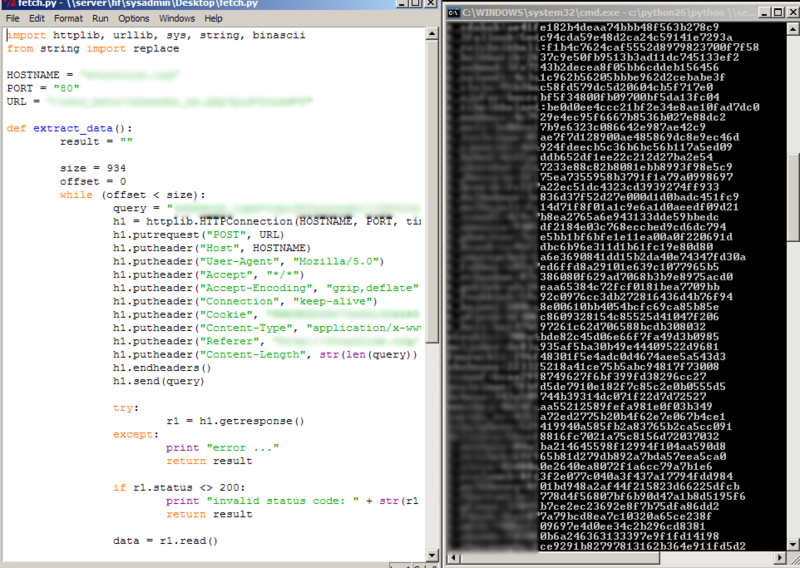 I found a website vulnerable to an SQL injection attack, which was originally caused because of a human-error. The original web application was not vulnerable, but some administrator modified the page to provide users with a flexible use of information. Information passed by the users were not sanitized at all, therefore, vulnerability was born from ashes. The funny part is that the vulnerable parameter was an integer, which all you need to sanitize it is to use the PHP function: intval() – as simple as that! This method worked well, however, it took me a very long time to extract the information I wanted even after I wrote a Python script to automate the process and improved it couple of times to avoid scanning the whole possible alphabet set. Two days later I changed my query to another complex one using MySQL function: load_file() – not that I haven’ thought of it before, but at the time of discovery it wasn’t possible to go right ahead and use it just like that. I was able to get the result with one single shot. The hash wasn’t found in any database of tens I’ve searched in. I’ve even created my own rainbow table (loweralpha_numeric_1-6) but got no result (I know it’s not the superb rainbow table settings but that what I could afford creating in couple of days on my CPU). Hmm… so what now? Give up and run away with what I’ve got before I get hammered? 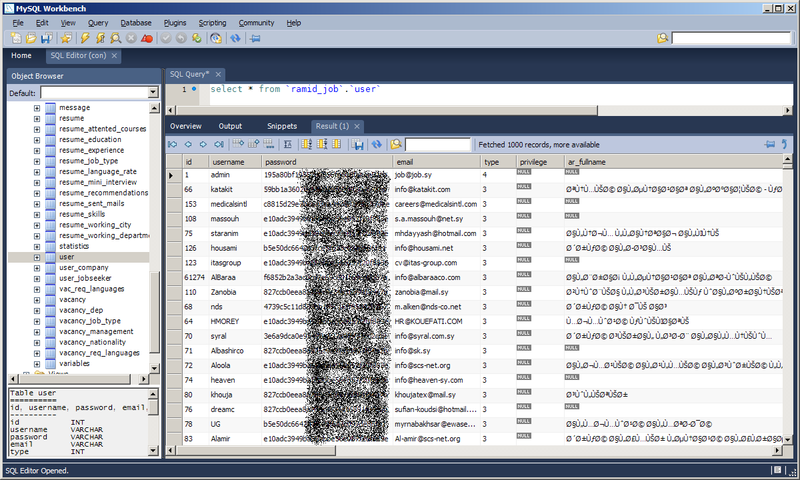 SAM database contains the NTLM hashes of the system groups. Only problem is that on Win2k and later, the SAM database is protected by the syskey, which is stored in another database encrypted with AES-128 😦 unfortunately, the syskey was enabled by default. Hence, it would be a waste of time trying to get my hands on both files. No problem, deZend tools are all over the Internet. Got one, decoded the files and there was it, the root password in plaintext on a silver plate. Using the password I was able to connect to the database through PHPMyAdmin control panel. Enough? Nooo.. the fun has just started. Thanks to the PHP shell I’m now able to control the system, upload/download/edit/delete/copy/move files, browse disk drives, execute system commands, use the server as zombie to attack different servers… you name it! To be honest … I’m going to attack the rest of the network, there are several systems attached to the affected server… and I’m curious about their contents. SQL injections can lead to full system compromise if running with high privileges. I had to tune my injection multiple times until I was able to extract full data at once and not byte-by-byte extraction. In order to extract the complete ~950 hashes, I wrote a small python script to automate the process. Enjoy and stay tuned for another hack! Never mind that for a second, what I bring to you today is a closer look on websites security and what could a simple human error do with your website.